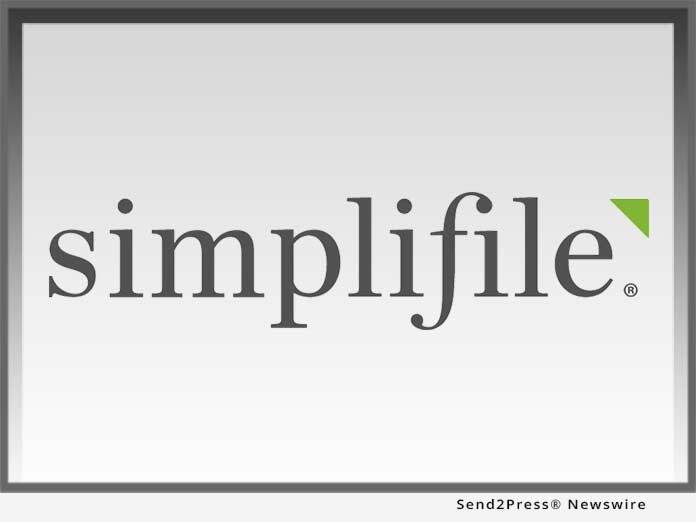 PROVO, Utah, Feb 21, 2019 (SEND2PRESS NEWSWIRE) -- Simplifile, a leading provider of real estate document collaboration and recording technologies for lenders, settlement agents and counties, today announced that it has garnered a spot on the inaugural Top Mortgage Workplace list, sponsored by industry trade publication Mortgage Professional America (MPA). "At Simplifile, we've strived to build a company culture that mirrors the values and attributes we aim to deliver through our platform and services - simplicity, straightforwardness and honesty," said Simplifile President Paul Clifford. "Being named a Top Mortgage Workplace is truly an honor and validates our efforts to create an organization that fosters innovation and prioritizes customer service." To evaluate companies for this honor, MPA collected employer nominations and employee surveys. Nominees were evaluated on metrics including benefits, incentives, employee development and culture. In addition to offering generous benefits and incentives, Simplifile's culture stood out among other nominees. As was noted in Simplifile's nomination, "Everyone is treated respectfully, equally and viewed as an integral part of the Simplifile family." Internal company programs that support this assertion include paid time off for community service, a monthly employee recognition program, wellness programs and employee outings such as barbeques and company-sponsored sports competitions. Additionally, Simplifile started a charitable program in 2015 called Simplifile Cares, enabling the company and employees to support housing-related and environmental protection/preservation charities in the communities in which Simplifile does business. To date, Simplifile Cares has raised over $144,000 for charities in 37 states. For a full list of MPA's Top Mortgage Workplace honorees, visit https://www.mpamag.com/contents/e-magazine.aspx?id=158775. To learn more, visit https://simplifile.com or call (800) 460-5657.